Listen, my mom is the prime audience for the crock pot (housewife, late 50’s, hates to cook) and even she would look at a pin of “25 low-fat crock pot recipes” and be like, “Really?” So it’s hard for me to understand why a woman in her 20’s would aspire (descend?) to this level of culinary apathy. The outfit you just repinned with the caption “super cute fall look” is what I sleep in. Cute in a casual, thrown-together, Saturday-chores way? Perhaps. But are you taking this picture with you to the mall? I hope not. I think it’s great that you are getting in shape and/or checking an essentially meaningless achievement off your bucket list, but the last thing I want to see when I’m camped out on my couch with my laptop is a picture off a mostly-naked woman plastered with a quote about not stopping until you sweat blood. This doesn’t seem healthy. I’m a little concerned about you. There’s healthy food, and then there’s diet food. Healthy food is delicious and photographs beautifully. Diet food is sad. I GET IT. For your sake I wish there was an option to create a private board, because this process seems very important to you, but as the years stretch on with no ring in sight, this will only get more and more awkward for everyone. 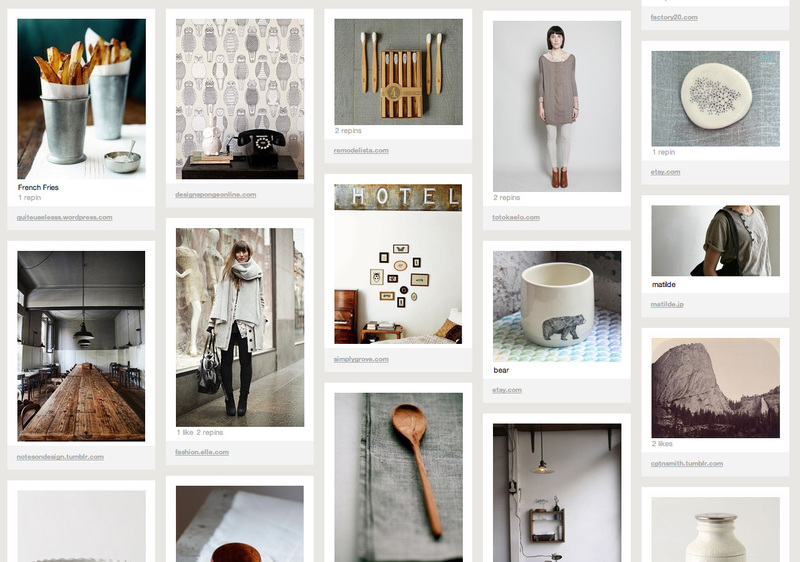 I will admit that of all the above, wedding fantasy boards at least seem to get what Pinterest is about – aspiration. On Pinterest you can share whatever you like, whether or not you can afford the Valentino dress, or have the culinary skills to make the black eyed pea cassoulet you drool over. And for that reason it puzzles me when people pin boring things. Are these the limits of your imagination? **We can still be friends in real life even if I don’t like your pins. I may be judge-y but I’m not a monster. This entry was posted in Food, Life, Style. Bookmark the permalink. ← Can we talk about how much I love Patti Smith?